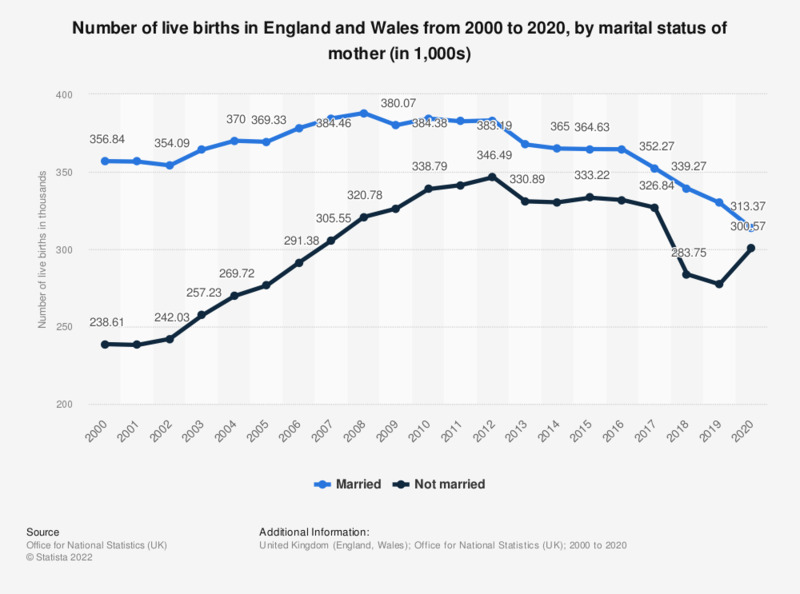 This statistic shows the number of live births in England and Wales from 2000 to 2017, by marital status of the mother. Although mothers who were married consistently outnumbered mothers who were not married, there has been a significant increase in the number of children born to unmarried mothers. In 2000 there were 118 thousand more married mothers than unmarried, but by 2017 this difference shrunk to just over 25 thousand. Everything On "Births in the United Kingdom (UK)" in One Document: Edited and Divided into Handy Chapters. Including Detailed References.